01.04.19 08:35;Account;Receive;Received Payment 6.00 USD from account U20519481 to account U1294000. Batch: 253448521. Memo: API Payment. Withdraw to allhyips from Stable Bank. 02.04.19 08:36;Account;Receive;Received Payment 6.00 USD from account U20519481 to account U1294000. Batch: 253954294. Memo: API Payment. Withdraw to allhyips from Stable Bank. 05.04.19 08:28;Account;Receive;Received Payment 6.00 USD from account U20519481 to account U1294000. Batch: 254434480. Memo: API Payment. Withdraw to allhyips from Stable Bank. 04.04.19 08:49;Account;Receive;Received Payment 6.00 USD from account U20519481 to account U1294000. Batch: 254288816. Memo: API Payment. Withdraw to allhyips from Stable Bank. 06.04.19 08:02;Account;Receive;Received Payment 6.00 USD from account U20519481 to account U1294000. Batch: 254569715. Memo: API Payment. Withdraw to allhyips from Stable Bank. 07.04.19 07:14;Account;Receive;Received Payment 6.00 USD from account U20519481 to account U1294000. Batch: 254676727. Memo: API Payment. 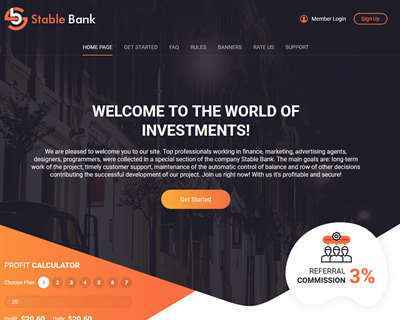 Withdraw to allhyips from Stable Bank.